Team captain Justin Owen says, a "I've always been impressed with Inception's products. There's no denying the quality, intelligence, and attention to detail they put into everything they do. They're also one of the earliest supporters of Classic paintball's resurgence and have worked tirelessly and selflessly to help it gain traction. Along the way, I've gotten to know the Inception team and I couldn't be more impressed. The 'Wolves are thrilled to be shooting Inception's Stella barrels, which we know will give us the major advantages in stealth, accuracy, and consistency that any predator needs to successfully hunt its prey." The original Saber Wolves paintball team was formed in early 1996 and competed heavily in regional 5-man events, eventually achieving unprecedented success in the longest running 5-man tournament circuit of the day, the Mid-South Paintball Association (MSPA). The Saber Wolves disbanded in the early 2000's after failing to achieve the same level of success in professional 10-man play, and being unable to maintain a stable roster. However, many of the MSPA players achieved great success as professional players on other paintball teams, and maintained close contact with one another over the intervening years. In 2016 a new Saberwolves team was formed by these lifeloang friends, specifically to compete in the Woodsball World Cup hosted by Jerry Braun in New York in the early summer. Despite being a throw-together team that had never played together before as a single unit, and despite coming together from five different states, this team shined with great chemistry and fierce play, but most importantly truly enjoyed taking the field with one another plus hanging out together off the field. As they left that event, despite there being no true ten man circuit at that time, the team pledged to maintain itself and get together for any events that may arise in the future. Thus, the Saberwolves represents the first dedicated ten man paintball team of this new age of Classic paintball. Since that time, the team has earned a reputation of being fierce but respectable competitors and they pride themselves on playing hard-hitting aggressive but smart paintball, to win but with honor. The Saberwolves were privileged to be among the first teams asked to join the newly formed Professional division for the 2019 ICPL, and accepted that invite with the goal of first and foremost being great ambassadors for the sport and especially the continued resurgence of Classic paintball. Plainly put, this is a return to the roots of Paintball that the 'Wolves grew up playing and the competition format that they fell in love with. They believe it is the future and want to see it grow so that it can do for others what it has done for them. 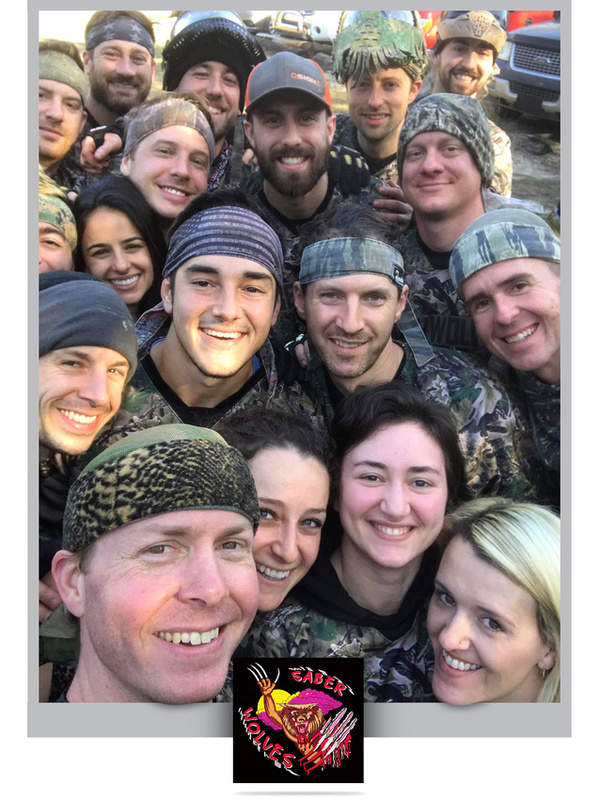 The team has adopted and lives by the motto, "When Paintball Meets Family," as they have built not only a very good paintball team but also a tight knit group which transcends any typical "team" moniker. The 'Wolves truly consider each other as family. Indeed, the 'Wolves spend more time interacting with one another outside of the paintball field, maintaining their relationships with one another over social media, coming together over XBox Live, get-togethers with kids and significant others, and even taking actual vacations together that have nothing to do with paintball. After all, the strength of the wolf is in the pack. The team has been very selective about endorsements, associations, and sponsorships, which is one reason why the Saberwolves are so excited to officially align with Inception Designs. The 'Wolves know Inception makes world-class products yet is still, in the eyes of its founders, a family business with a good heart and the right motivation. 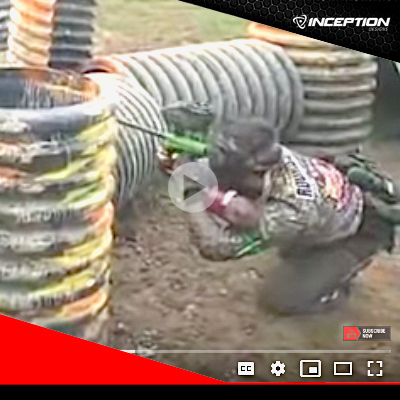 Thus, the Saberwolves are thrilled to welcome Inception into the 'Wolves den, under the banner: "When Paintball Meets Family." Since their re-forming we have been blown away by how the Saberwolves conduct themselves on and off the Paintball field. A highly competitive team playing with honor and aggression is a beautiful sight to see, especially in the woods, where they are often the team to beat at the 10 man Classic events. Their dedication to helping grow the Classic format and to play at the highest levels is apparent in every way they conduct themselves and watching them win the 2018 World Cup on the Mounds field shows that they are going to be a force to be reckoned with in 2019. We feel honored to be able to support them in their endeavours and look forward to working with the Saberwolves into the future of Paintball. The wolves will be using the complete Stella Slimline Kit on thier GoG Shockers. The Stella Kit keeps them prepared for the ever changing weather and paint conditions. The Stella Slimline Kit will also be used on the GoG eNEMy. The Stella kit is the benchmark for control bore barrel kits. The Saberwolves will have some polished RAW Stella Kits custom anodized to match the unique style of the team.